Actually the Skin is done also the eyes. 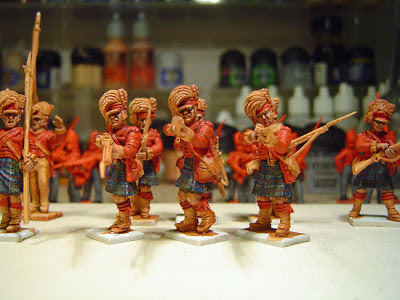 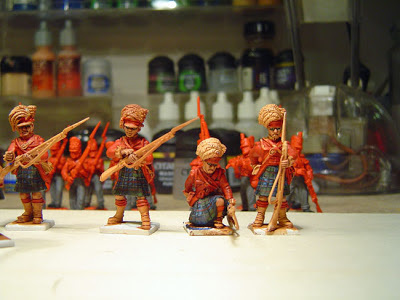 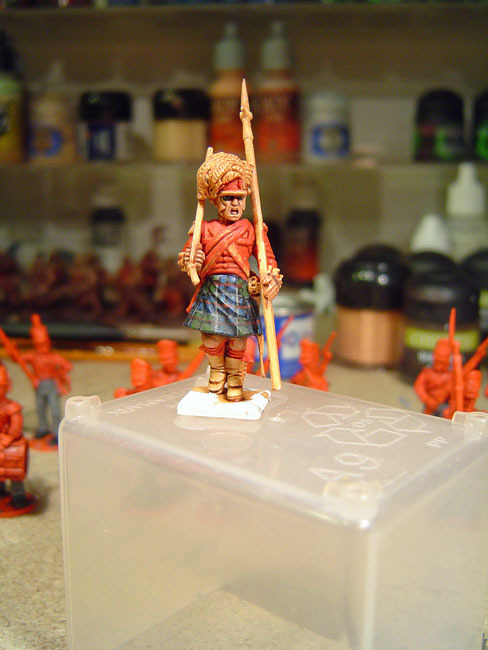 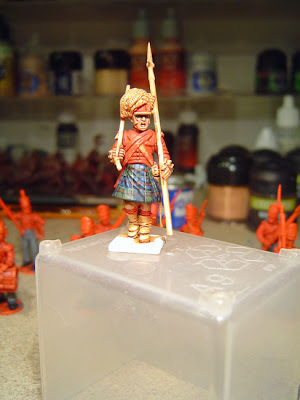 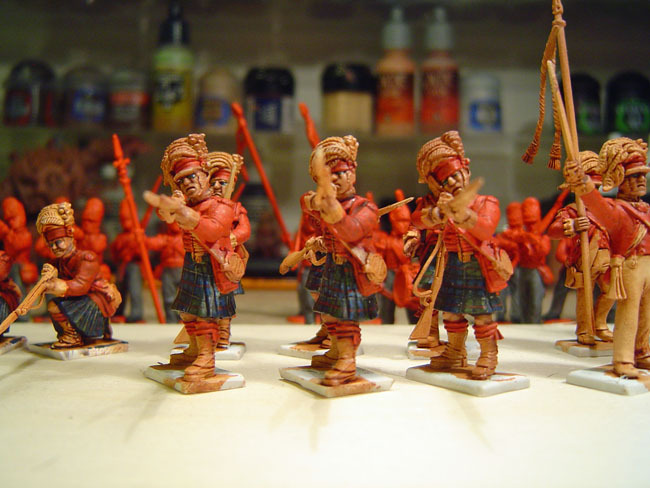 The Tartan is done in several colors and highlighted. 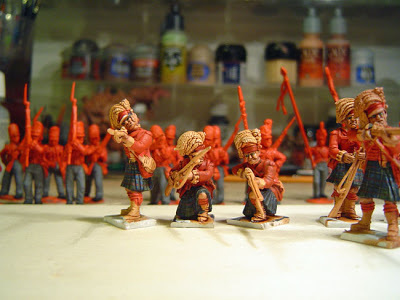 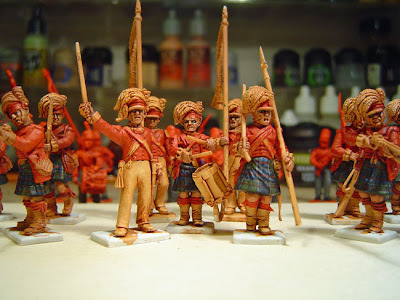 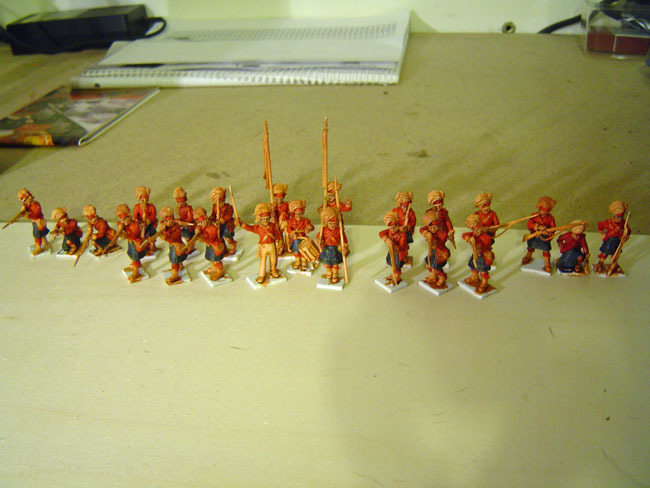 The Uniform itself is done with several layers of different Red Colors and some washes and shades. 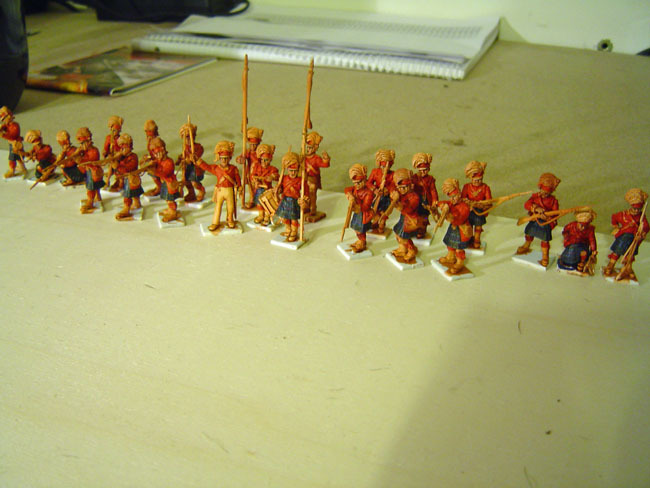 Next step comming is all the blue colors and the hats. Also shoes and spats are in progress already.